Classroom teachers of grades K–6, school administrators, technology leads, instructional coaches and curriculum consultants. This workshop will help you to think beyond technology for technology’s sake and investigate the pedagogy that drives digital learning in the workshop classroom. With the instruction from this workshop, you’ll develop a mindset for innovation that will meet the needs of today’s and tomorrow’s learners. Building on a research-based framework that teaches students to think for themselves, we’ll explore new options for using student interest to drive reading, writing, and inquiry. We’ll learn how to use the tools available today to help us personalize learning and provide all students the resources they need to live curiously. Moving beyond student consumption and into student creation, we’ll investigate how audience, feedback, and choice motivate kids to do more. This workshop will show you how to engage learners to read, write, and create diverse media products that will enable them to communicate across modalities, empowering them to think critically and define their role in the global learning community. 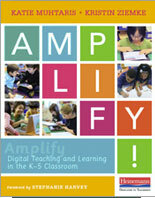 In this workshop, we’ll draw on research and classroom practice from Kristin’s newest book, Amplify: Digital Teaching and Learning in the K-6 Classroom. You will be able to see how technology connects to curriculum-based instruction and gain lesson ideas for teaching students to closely view media, effectively comprehend digital texts, and connect with real audiences. Kristin’s joyful teaching style will provide practical strategies you can immediately use with your students to question deeply, search effectively, and capture student thinking. Craft a vision for technology best practice. Understand how digital tools can be used to engage learners in active literacy practices. Identify tools that capture student thinking across the curriculum. Determine the most effective ways to capture, show and share. Design management habits and routines for devices in the workshop classroom. Digital tools should be viewed as another valuable resource that helps students build knowledge. Investigate current trends in media literacy, digital reading and writing, and maker education. Understand the skills students need to be informed consumers, content creators, and citizens in a global society. Plan lessons that are curriculum based and personalized. Learn new ways to make the curriculum accessible and differentiated for all learners and use daily assessment data to guide instruction. Explore practical strategies that will make wonder and joy a part of your daily instruction. 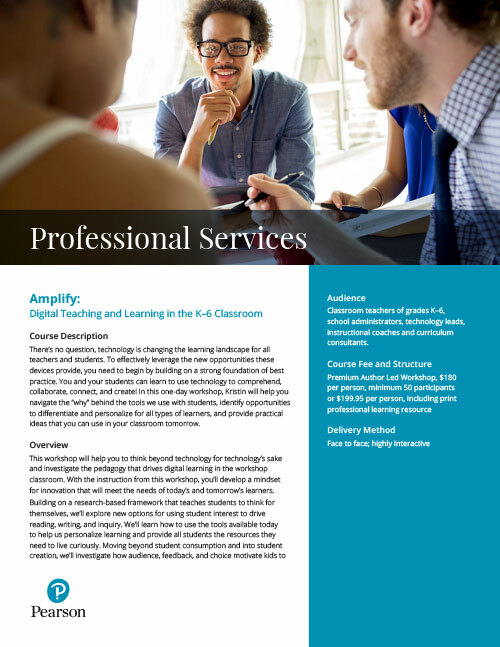 Discover how to foster digital curiosity, build authentic audiences, and engage students to become purposeful and passionate learners.